Journalism.co.uk is taking part in a Reuters event today – an interview with Liberal Democrat leader Nick Clegg, where all questions put to the MP have been solicited through and posted to social media sites. Video questions for the leader have been left on 12seconds, while tweets tagged #askclegg are also being picked up. A new system for monitoring Twitter conversations, Newsdeck, is also being trialled – which we’ll be reporting back on. 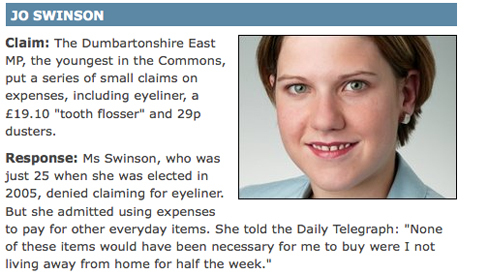 This entry was posted in Events, Social media and blogging and tagged #askclegg, Jo Swinson, Journalism.co.uk, leader, Lib Dem, Liberal Democrat, MP, Nick Clegg, reuters, social media, social media sites, Twitter on July 13, 2009 by Laura Oliver. Event: Reuters hosts social media Q&A with Lib Dem’s Nick Clegg – take part! On Monday (July 13) Liberal Democrat leader Nick Clegg will take part in a public question and answer session with a difference. Clegg will respond to questions solicited via a range of social media sites in a livestreamed event – something that the politician himself has described as changing ‘the way we do politics’. The event is the latest in a series of sessions subjecting high-profile figures in the world of politics and business to social media scrutiny – but previous participants, including Gordon Brown, David Cameron and Bob Zoellick, used the q&a session as a follow-up to a speech. Clegg will just be responding to questions from the public and online audience. Journalism.co.uk is going to co-host part of the proceedings – it’s a great opportunity for us to see how Reuters runs these events and why and how they are opening it up/distributing it in this way. Clegg has posed some questions of his own on 12 Seconds; or perhaps you’d like to challenge his statements on the war in Afghanistan? There will be a live video stream of the event on the Journalism.co.uk Editors’ blog and on the Reuter’s hosting page. You can also follow some of the event on the Reuters New Editors Twitter channel. Journalism.co.uk will attempt to aggregate some of the tweets around the event as well as featuring coverage on @journalism_live. Any other suggestions of how you’d like us to cover it – please chip in. This entry was posted in About us, Events, Social media and blogging and tagged #askclegg, Afghanistan, Bob Zoellick, David Cameron, Gordon Brown, Journalism.co.uk, leader, Lib Dem, Liberal Democrat, Nick Clegg, politician, public and online audience, reuters, Reuters New Editors Twitter channel, social media scrutiny, social media sites, the Reuters Great Debate post, Twitter on July 9, 2009 by Laura Oliver. The narrative is familiar to anyone who has followed the broader technology industry for any length of time – new triumphs over old. The reality, inevitably, is more complex, more layered, more textured. Certainly change is disruptive, but old technology rarely disappears completely. Rather it coexists with the new. Just look around your office if you want proof of that. You may not use the fax machine but someone does, and you’ve certainly sent a letter or made a call on the land line. Communication is not all mobiles, email and instant messaging. As it is with technology, so it is with media. And nothing demonstrates the laziness of the ‘winners and losers’ legend more than the domestic news story of the year – MPs’ expenses. Here we have seen the best of old and new media, one feeding off the other. What was meant to be a public domain story, put there by a hard-fought freedom of information request, turned into an old-fashioned scoop. The Daily Telegraph acquired the data and did a first class job poring over the numbers and putting in place an editorial diary for the drip-drip of expenses-related stories. The first fruits of this were splashed across the front of the paper on Friday May 8 and, by my count, the story set – and led – the news agenda for the next 23 days. To this point it was only a new media story in the sense that the Telegraph was enjoying an uplift in traffic – one in every 756 expenses-related searches led to the site. But what the paper was offering was fairly conventional fare. It took others to do some really interesting things with it. A fine example was work done by Lib Dem activist Mark Thompson who spotted a correlation between the safeness of an MP’s seat and the likelihood that they are involved in an expenses scandal. Elsewhere, there were mash-ups, heat maps and the rest. And then the deluge. Parliament released its data – albeit in redacted form – and for the first time the Daily Telegraph was in danger of losing ownership of the story to another newspaper. Wired journalist Jeff Howe, the man credited with coining the phrase crowdsourcing, will nod approvingly at this development. According to one definition Howe uses, crowdsourcing is ‘the act of taking a job traditionally performed by a designated agent (usually an employee) and outsourcing it to an undefined, generally large group of people in the form of an open cal’l. In this instance the Guardian was taking a task traditionally performed by its journalists (designated agents) and outsourcing it to its readers. Where the Telegraph did its own number-crunching, the Guardian farmed much of it to a third party, us. So has the Guardian’s crowdsourcing experiment been a success? On Sunday the paper boasted that almost 20,000 people had taken part, helping it to scour nearly 160,000 documents. So far so great. But by Wednesday, the number of documents examined by the army of volunteers was still 160,000. With some 700,000+ receipts and other assorted papers to classify could it be that the Guardian’s efforts were running out of steam? If they were, this didn’t stop its rival from following the lead. One Telegraph correspondent may have dismissed those engaged in this kind of ‘collaborative investigative journalism’ as ‘Kool-Aid slurping Wikipedians’, but his paper seemed to take a different view. Both papers – and the wider media come to that – have enriched our understanding of a complex and sprawling story. What started as a proprietorial scoop is now in the hands of the crowd. Old media and new coexisting. Jon Bernstein is former multimedia editor of Channel 4 News. This is the first in a series of regular columns for Journalism.co.uk. You can read his personal blog at this link. This entry was posted in Journalism, Online Journalism and tagged activist, army, broader technology industry, Channel 4 News, correspondent, crowdsourcing, editor, google, guardian, instant messaging, Jeff Howe, Jon Bernstein, Journalism.co.uk, Lib Dem, Mark Thompson, MP, MPs expenses, multimedia editor, PDF, telegraph, the Daily Telegraph, The Guardian, the Telegraph, wider media, Wired journalist on June 26, 2009 by Jon Bernstein. From the first day the Telegraph began printing information about MPs’ expenses Journalism.co.uk wanted to know what would happen to the data and how exactly it was being handled inside the ‘bunker’. An insight into the process would have been fascinating for journalists and non-journalists alike. Would the expenses information ever be released in its pre-redacted format? Or would it be too much of a legal risk and detract from potential print sales? Unfortunately, the Telegraph press office did not want to discuss the issue, and any enquiries made directly to journalists were forwarded to the press office. We were told we were on the waiting list to talk to someone about data, but we never heard anything. “Inside the 68-page magazine supplement you will find files concerning all 646 MPs, with details of their Additional Costs Allowance (ACA) expenses for 2007-8, the most recent year for which figures are available. Journalism.co.uk asked the press office if the information would be available online. No answer as yet. But… we just spotted this exchange between the Telegraph.co.uk editor, Marcus Warren, and a follower on Twitter. MarcusWa: @craigelder: i wld suggest everyone wait a day or two for the uncensored expenses to appear…. craigelder: @MarcusWa: Might we be seeing something on Saturday? MarcusWa: @craigelder i can also suggest that you ‘watch this space’…..
craigelder: @MarcusWa: I had a feeling! Looking forward to it. Any chance the data can be made available in some sort of *useful* online format as well? MarcusWa: @craigelder: i can’t say as yet!!! This entry was posted in Newspapers, Online Journalism, Press freedom and ethics and tagged Daily Telegraph, editor, House of Commons, Journalism.co.uk, Lib Dem, Marcus Warren, printing information, Telegraph.co.uk, The Guardian, the Telegraph, Twitter, Voice site editor on June 18, 2009 by Judith Townend.